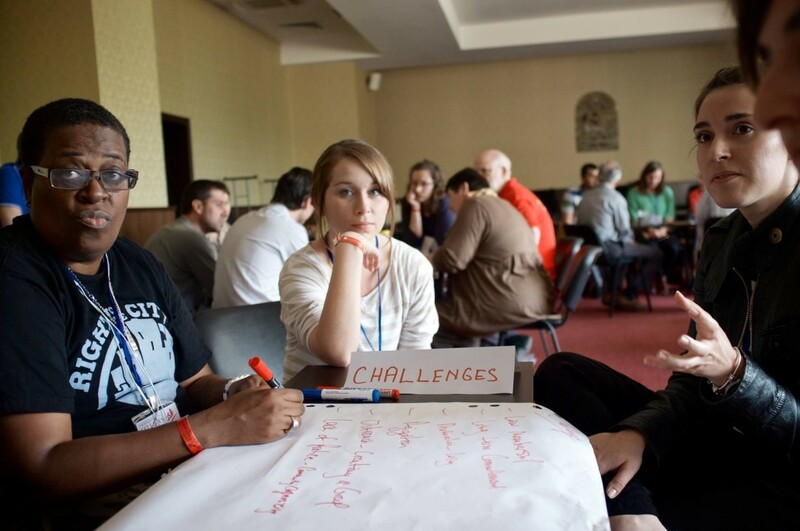 Community organizing as a tool to fight extremism and discrimination in Europe? Community organizing can be very useful tool for better inclusion of minorities, as well as fighting extremism nowadays. Fifty Professional Fellows Program (PFP) Alumni from 5 countries will try to find and share the best examples to prove that. 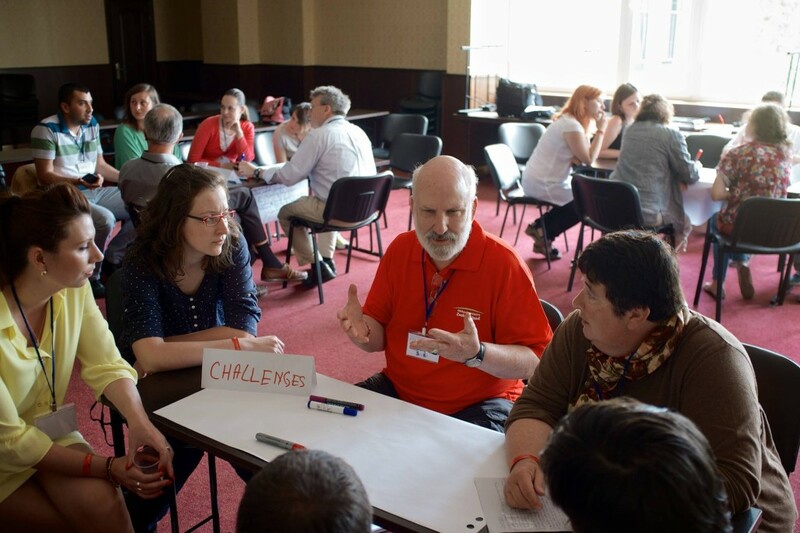 In the middle of June they will reunite at the ‘Pro-Fellows Alumni conference’ in High Tatras with simple goals – to share their professional accomplishments, work on current challenges together, learn from each other during peer-to-peer sessions and to build new partnerships. Since 2012 more than 150 emerging leaders in the fields of civic engagement; nonprofit management; local governance and community empowerment from 4 European countries (Romania, Bulgaria, Hungary and Slovakia) have been brought to the United States for intensive 6-week experience designed to broaden their professional expertise. It could all happen thanks to the Professional Fellows Program – funded by the U.S. Department of State (Bureau of Educational and Cultural Affairs) and implemented by Great Lakes Consortium for International training and development at WSOS Community Action Commission, Inc.. During their stay in U.S. the participants received hands-on exposure to nonprofit organizations – focused on community organizing and building grassroots democracy in minority communities. The biggest advantage of this project is its sustainability after leaders’ return back home to Europe from their 6-week U.S. experience – via national developed network and continuous learning circles. Cooperation with former PFP alumni, feedback from the U.S. mentors and consultations with WSOS organizers on new local projects ideas and personal development progress works on regular basis. It’s the best way to ensure that the gained knowledge and experience will be successfully implemented in local communities. Therefore WSOS organize Regional event on annual basis – ‘Pro-Fellows Alumni conference’. “Thanks to the Reunion project all these powerful people have an opportunity to share ideas, learn from each other and work together for more solidarity and justice in our communities and in the same time to build a network of Professional Fellows Alumni in Europe,” said Veronika Strelcova, PFP Alumni and coordinator of Professional Fellows Program in Slovakia. “I can see the network growing and becoming more professional and stronger,” adds Maros Chmelik, PFP Alumni and Director of Center for Community Organizing (CKO). This year (14-18 June) that reunion of 50 community organizers will take place in Strbske Pleso city (in Eastern part of Slovakia, close to High Tatras Mountains). The main goal of the conference is to re-connect former Pro-Fellows alumni from 4 countries and the U.S. mentors, to share their accomplishments, as well as current challenges and future plans. It is a great opportunity for peer-to-peer learning and comparing various experiences from European countries in small groups with the same target groups – minorities (Roma, LGBTQI+, immigrants, people with special needs etc.). The results from these sessions could eventually grow into multiple country collaboration for new projects. High Tatras region is also the best place to build further partnerships, as well as friendships while exploring Slovak nature and culture. Many interesting and important topics for workshops’ sessions have popped out during the preparation of the program of the ‘3rd Pro Fellows Alumni conference’ (organized by WSOS in cooperation with its local Slovak partner: Center for Community organizing – CKO). The participants will definitely discuss the potential of Organizing as a tool for better inclusion of minorities; LGBTQI+ organizing in small urban towns; the rights of people with special needs/disabilities. They will also learn new Community organizing educational methodologies and share potential sources for Fundraising and shared-interest Grants. Romanian and Bulgarian participants will present their examples of Fighting against corruption. Slovak and Hungarian organizers will open an important discussion on testing Community organizing as a tool to fight extremism and radicalization in their countries. The U.S. mentors will fully support and coach European leaders during the event.